The first in the series, THE RIFT UPRISING (Harper Voyager, October 4, 2016, Hardcover), is a blend of YA and Adult, science fiction and military thriller. 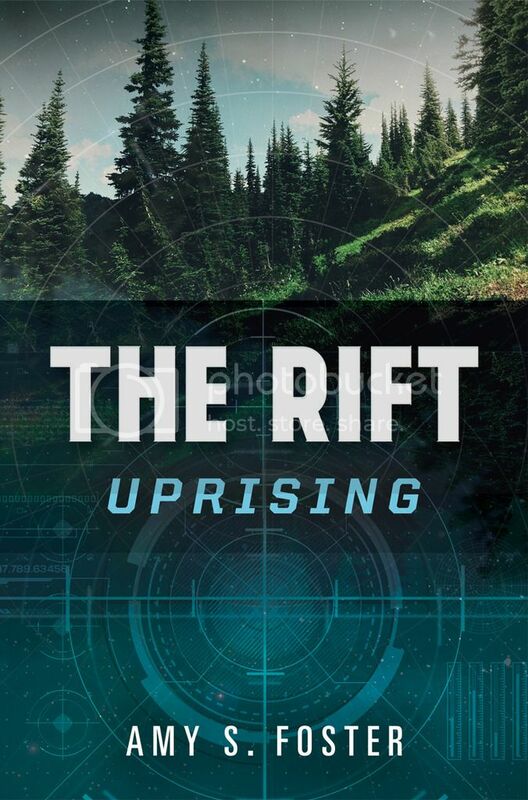 The Rift Uprising is action-packed and cinematic in scope, perfect for fans not just of The Hunger Games and The Maze Runner, but also of The Bourne Identity and Edge of Tomorrow. I always wrote. I was always sketching (badly) and writing poetry or little snippets of stories. But, when I was growing up, I wanted to be an actress. When I was 18, I moved to LA and began to study acting. I truly loved the craft but honestly, I was a terrible actress! Awful! So, I went back to school and got my degree in International Business. I took a class in college, a poetry class and that sort of changed everything. I got a fairly practical degree but I never stopped writing poetry, which led to lyrics. One day I got an idea for a short story. I started writing prose and realized that I just wanted to tell stories for a living, in any way I could, whether it was songs or books. I even think my early love of acting was just another iteration of that. Ordinarily, it’s about a six month process. Though I will say, Book 3 of this trilogy has been a much longer process. The outline alone took months. There’s just so many moving pieces with a story this big and I had to make sure that every question was answered and everyone got the ending they deserved. I write Monday through Friday at my office outside of my house. Just like a regular job, I work about 7 or 8 hours a day. I’m not always writing. A lot that time, too much maybe, is spent doing admin and PR stuff. That is the hardest part probably. I am a mom and my kids are always my first priority. At the same time, I want my daughters and my son to understand that a woman shouldn’t have to sacrifice her dreams for the sake of motherhood. For some women, motherhood is the dream. For me, obviously, it’s being a successful writer. I may not be as available physically as other mothers, but, my hope is that I’m modelling values like tenacity, patience, a strong work ethic and resilience. I write on a cloud of pixie dust and griffon feathers. I type on a keyboard made of sugar plumbs and blessed by unicorns. I burn candles scented with rare Moroccan spices and the inside of Tim Riggins’ neck. All the while listening to songs Beyonce has performed and written just for me. No? Okay. I write at my condo in SW Portland. My family has been incredibly supportive. My father in particular, who is a genius, like really, a protégé, but not much of a reader, read my book in one sitting. He even has the link to buy it on Amazon on his Instagram bio. Can we just talk about the fact that my dad has an Instagram? I mean it’s embarrassing that he has, I think, like 200, 000 followers and I have, well… not nearly as many. My dad kills it on social media. I am a knitter. A crazy, insane, yarn addicted knitter. Write. Just write. Write one page a day for a year and you have a book. Even if what you are writing is TERRIBLE. The thing is, you can fix terrible. You can fix mediocre. You can’t fix nothing. Something, anything, has to be there for you to fix. I’m just going to humble brag for a minute. It’s actually not a humble brag as much as it is a straight up name drop but he’s my best friend so what can I do? Michael Buble is my songwriting partner (among others, I write with other people too!) but he’s also an insatiable reader. He’s read this book many times and offered a lot of great advice. Mostly he just encourages me. He’s the kind of guy that wants everyone to succeed, which is rare considering our business. Book 3 of the Rift Trilogy. Man oh man, it’s tough. There is a lot of conflict and I’ve been relying on my military adviser LTC Matt Fandre to get the most realistic vantages of combat theater that I can.